Keep up to date on the missionaries funded in part by the Beautiful Savior Lutheran Church Local-Regional-Global (LRG) fund. Visit the LCMS website to learn more about how the LCMS missionary program is spreading God’s Word and how to provide additional support to our missionaries. 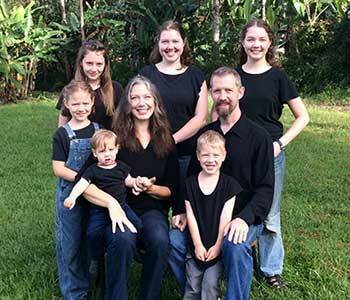 Michael and Beth Ritzman serve the Lord as missionaries of The Lutheran Church—Missouri Synod (LCMS) in Papua New Guinea. In this role, Michael serves as business manager. He interacts with the LCMS partner church in this country to coordinate all LCMS joint activities, including the operation of a seminary, Bible schools and projects that serve remote congregations.